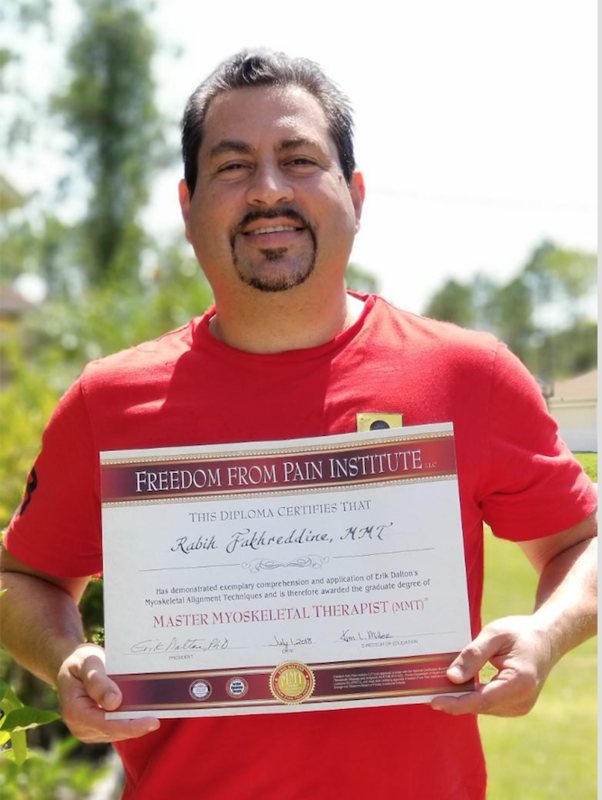 Rabih Fakhreddine, the Founder of Rab Healing Touch, is a licensed massage therapist based out of Fort Myers, Florida. 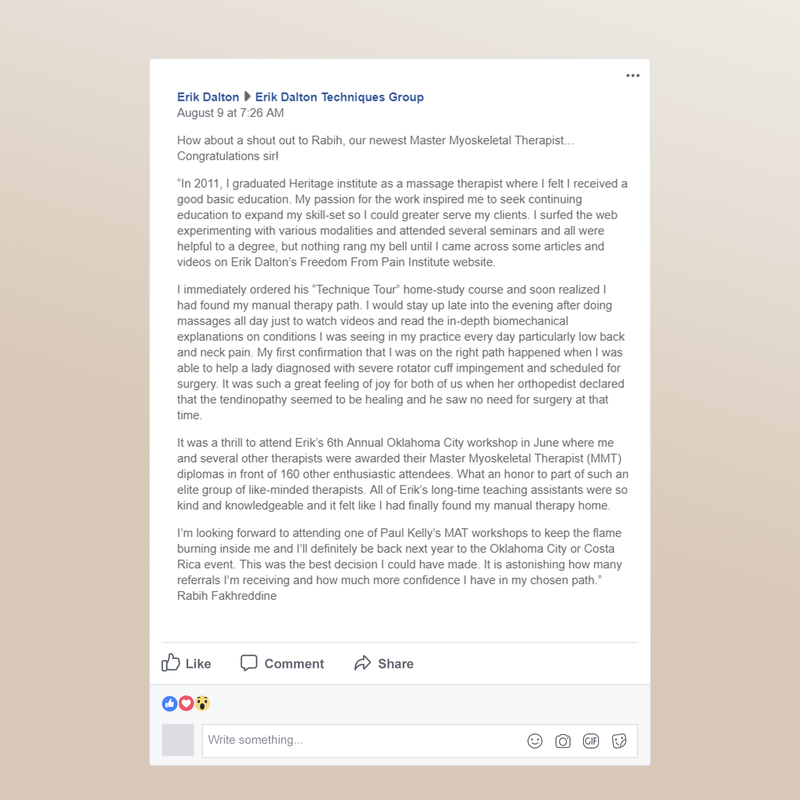 He has been certified as a Master Myoskeletal Therapist from the Freedom from Pain Institute. His specialties include Swedish massages, Deep Tissue massages, and Trigger Points. His mission is to help those experiencing pain, and is trained to identify and relieve pain in all of his clients. Rabih has decades of experience in pain management and loves helping every client he works with. When people think of massages, they think of the typical spa experience. While relaxation is incredibly important, Rabih's massages are targeted at relieving pain. They are absolutely perfect for anyone seeking pain relief, from athletes to your everyday person. There are many more treatment options, all with different techniques and results. If you cannot find a treatment that meets your needs, please call Rabih to inquire about other options. Rabih can come to your home or business to provide massage therapy services. Website by Eric Binder. Copywrited - Rab Healing Touch. All rights reserved.